Join Rachel Andrew, author of the video training course Modern Web Development with HTML5 and CSS, to learn about CSS Selectors. Having a solid understanding of CSS Selectors is vital for any developer writing front-end code as part of their work. In this webcast Rachel will walk you through the Level 3 CSS Selectors specification with practical examples that you can use in your work today. This session is designed for the beginner, meaning no prior experience with HTML or CSS is required. 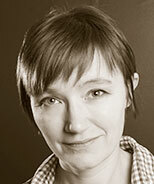 Rachel Andrew is a front and back-end web developer, author, and speaker. Her books include the bestselling CSS Anthology for Sitepoint and she is a regular contributor to a number of publications both on and offline. Rachel founded her web development company edgeofmyseat.com in 2001, the company initially offered web development consultancy and now concentrates on developing and supporting the CMS Perch. She writes about business and technology on her own site at rachelandrew.co.uk.